Jesse McCartney hits the road for the first time in four years! Better With You US Tour! 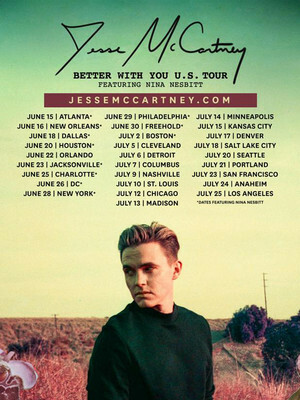 After taking a four-year break from the music scene in 2014, singer-songwriter and actor Jesse McCartney returns to the road with his Better With You tour! The tour which kicks off in Atlanta and concludes in LA, marks McCartney's first official tour in years. He'll be accompanied on certain dates of the tour by Scottish singer-songwriter Nina Nesbitt. Less than two months ago, he broke his four year break by releasing a track off his upcoming album, 'Better With You' which is a more nostalgic throw back to his beautiful soul era. 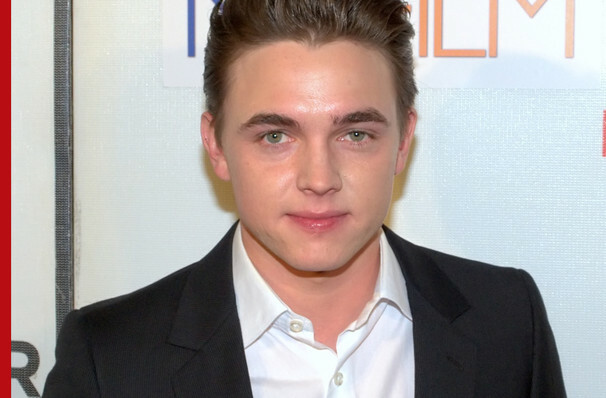 Jesse McCartney first achieved fame in the late 1990s by appearing on the daytime drama All My Children as JR Chandler. He went on the join the boy band Dream Street which guided him down the path to his solo career. Sound good to you? Share this page on social media and let your friends know about Jesse McCartney at Fillmore Charlotte. Please note: The term Fillmore Charlotte and/or Jesse McCartney as well as all associated graphics, logos, and/or other trademarks, tradenames or copyrights are the property of the Fillmore Charlotte and/or Jesse McCartney and are used herein for factual descriptive purposes only. We are in no way associated with or authorized by the Fillmore Charlotte and/or Jesse McCartney and neither that entity nor any of its affiliates have licensed or endorsed us to sell tickets, goods and or services in conjunction with their events.